Finding out you have a silverfish problem isn’t pleasant. You may not have even realized how long the pests have been in your home until it is too late. Of course you will want to know how they got into your home, how to get rid of them, and what you can do to prevent them from coming back. Also, you may be asking yourself. “do silverfish bite?”. The answer to that and many of your other questions will be answered below. Silverfish are bugs that are silver in color. They are tiny, only growing to the maximum of ¾ of an inch long. Most are much smaller though, roughly around ½ inch. Silverfish are nocturnal, meaning they are only active at night. This is part of the reason you may not even realize they are in your home for quite some time. Their bodies are long and slender and taper to three tentacle-like appendages. There are two antennae off their heads as well. These pests can reproduce rather quickly. Generally eggs are laid in a crack or crevice, on cloth, or in food particles that have been dropped on the floor. Each female can lay up to 200 eggs each time, though it is usually closer to 50. The eggs will hatch between three weeks and a month after being laid. If the temperature is not favorable, the eggs can lie dormant for up to six weeks. After that, if the temperature has not become favorable they will die off. As they grow, the silverfish will molt. You may find some evidence of this around your tub, toilet, sink, or even your laundry basin. When touched, it will crumble like dirt. Often, you won’t even notice the molting and will sweep it up in your normal cleaning. Where are silverfish usually found? If you have ever had experience with silverfish in your home, you will know they like damp and warm places. The two places in a home that fit the description are the bathroom and laundry room. You will also likely find them in storage rooms, pantries, under sinks and basements. Sometimes closets will also become affected by the pests as well. Knowing where they are hiding is key in getting rid of them problem. Silverfish do not have jaws to bite. They “chew” their way through soft food and fabrics by gnawing away. You will never find a case of a someone being bit by a silverfish, it just isn’t possible. Even though silverfish do not bite, they can cause noticeable damage from their gnawing. You may find books chewed up, cereal boxes with gnawing evidence, and ruined clothing and fabrics. If you have confirmed you have a silverfish problem you are likely looking for ways to get rid of them. The sooner the better is probably your mindset, but unfortunately it isn’t always as easy as that. Below you will find information on how to get rid of silverbugs and the tools you will need to accomplish the task. Insecticides. You can find products at the local hardware store that will deal with silverfish. The issue with this is it will only affect the pests you are actually seeing, not the ones that are hiding somewhere else. If your problem isn’t too bad, this will be a short-term solution to the problem. Spray the baseboards, corners, cracks, crevices, and around your open plumbing under sinks. Sticky traps. Once the silverfish cross them, they will become stuck. This will allow you to address the areas that have the most issues population-wise. These are easy to clean up, but again they don’t target the infestation you may have present in your home. Cinnamon. This is a short-term fix until you can get insecticide or sticky traps. Cinnamon does repel the silverfish. Keep in mind if you have children or animals in the home, you may be exposing them to cinnamon if you plan on using this method. Call an exterminator. This may be your best bet, but it will cost you the most financially. An exterminator will be able to devise a unique plan based on your situation. This is the only solution if you have a bad infestation and need to ensure every last silverfish is eliminated. How can you prevent silverfish from coming back? Once you have silverfish and get rid of them, you definitely won’t want them back. There are several things you can do to prevent a recurrence in the future. Reduce the humidity in your house. 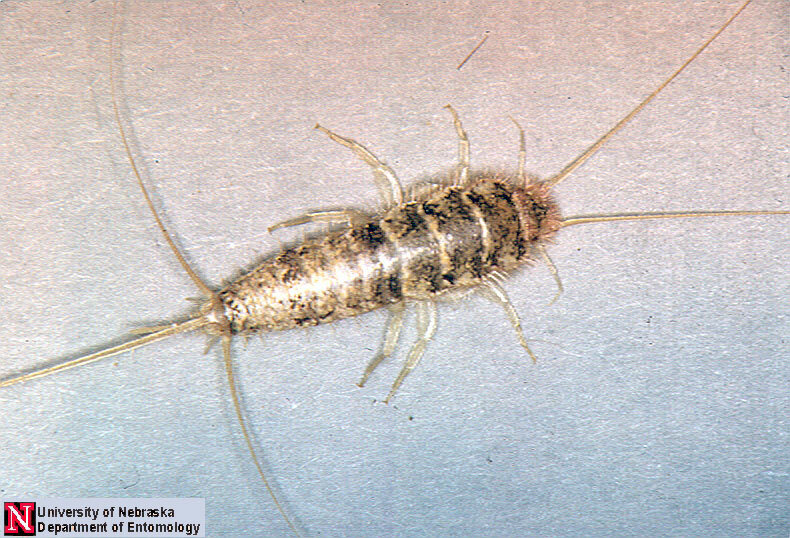 Humidity is necessary for the silverfish to survive, which is why they love bathrooms and laundry rooms. It is suggested that you keep these rooms completely clean and dry. Showering with the bathroom door open is recommended to keep the humidity down. Using ventilation fans when showering and doing laundry will help bring the humidity down immediately. Routinely dusting your home. Dust is food for silverfish. They love nothing more than to find a dusty bookshelf with older books on it. This will feed them several times over, and you may not even notice they are there. Dust your home every other day at least, but daily should be done if you have had silverfish before. Vacuum. It seems that vacuuming has a lot to do with pest control. You should vacuum your carpets and upholstered furniture regularly. Every third day will do the trick, but every other day is an even better option. Clean out the clutter. You should be cleaning drawers monthly. Clothing, kitchen, and desk drawers should all be dealt with. Cleaning out your dressers and closets is also a must. Anywhere anything sits for a while needs to be cleaned out and moved around. Silverfish love these places, especially if you don’t disturb them for long periods of time. Use storage containers for cereal boxes and other food in your pantry. Cardboard is easy for the silverfish to gnaw. Buy some storage containers at the local store and make sure everything is closed up tightly. Caulk any holes around piping or near conduits. Silverfish can slither through even the tiniest of holes, especially around the plumbing in your home. Make sure your shower or bathtub is properly caulked as well. If you think it may be an issue, caulk it to be preventative. Use dehumidifiers. This will instantly draw all of the excess humidity out of the room it is placed in. Keeping one in the basement is a good idea, and also in the laundry room if possible. The first question when talking about this is, do silverfish bite. Thankfully they do not. They don’t really have a jaw to enable any biting. Silverfish gnaw their way around, which is why cereal boxes and books are their favorite things. You will not have any type of allergic reaction to silverfish and their presence is not directly harmful to you or anyone else in your home. They are a nuisance pest, not one that will actually hurt you or pets and children in your home. The insecticides you will be using to kill them have more chance of harming the household than the bugs themselves. Dealing with silverfish is not easy. Because you often don’t find them until it is too late, sometimes the end result is hiring an exterminator. While it isn’t the end of the world, it can hurt your pocketbook badly. Be aware of your surroundings and head off problems before they begin. If you keep on top of cleaning, leaks, and the humidity level in your home, you may not have to deal with more issues than are necessary. Remember, if you do find yourself dealing with an infestation, it isn’t a sign of uncleanliness. .